This story about foster care and education was produced as part of a series, “Twice Abandoned: How schools and child-welfare systems fail kids in foster care,” reported by HuffPost and The Hechinger Report, a nonprofit, independent news organization focused on inequality and innovation in education. Sign up for the Hechinger newsletter. But Alyssa was sticking out her tongue and shimmying in her chair. Redlener asked the girl if she was comfortable at her table. “I can see that,” said Redlener, suggesting they visit the water fountain for a quick break. As she escorted Alyssa into the hallway, Redlener’s co-teacher, Carolina Garcia, and Alexa Wernick, one of the school’s family and student specialists, scooted beside other students to coach them on their writing. Alyssa has large, brown eyes; dark hair that’s often gathered in a ponytail; and a tendency to wiggle and squirm. (“Watch your body, Alyssa,” has been a common refrain from teachers.) At the start of the school year, she would often shut down, arms folded, eyes cast downward. But midway through the school year, she had learned to express herself more effectively, to recognize her pooling frustration and take steps to forestall it. She would speak up when she was feeling excited or upset and listen when teachers gave her feedback. Taking water breaks, drawing and coloring and interacting one-on-one with teachers also helped. Alyssa’s school weeks were still marked by ups and downs, however; she was particularly on edge if she missed a visit with her mother. Since November 2015, Alyssa had lived in foster care, and her time with her mother had been restricted to twice-weekly visits, meted out one hour or so at a time, in the drab office of a child welfare organization and under the supervision of a caseworker. At many schools, a home life like Alyssa’s would be an outlier — but here it’s written into the founding documents of the school. A third of the kids at Haven are in foster care, and another third come from families enrolled in the city’s preventive services (such as drug and mental health counseling), which are designed to stabilize households to keep kids from entering foster care. The final third live in the surrounding neighborhood. These students often have their own intense needs as their families contend with the stresses of poverty. The Mott Haven section of the Bronx, a mix of row houses, retail stores and hulking housing projects one subway stop from Manhattan, is located in the poorest congressional district in the country. At first, Haven’s educational experiment seemed like it might be a flop. 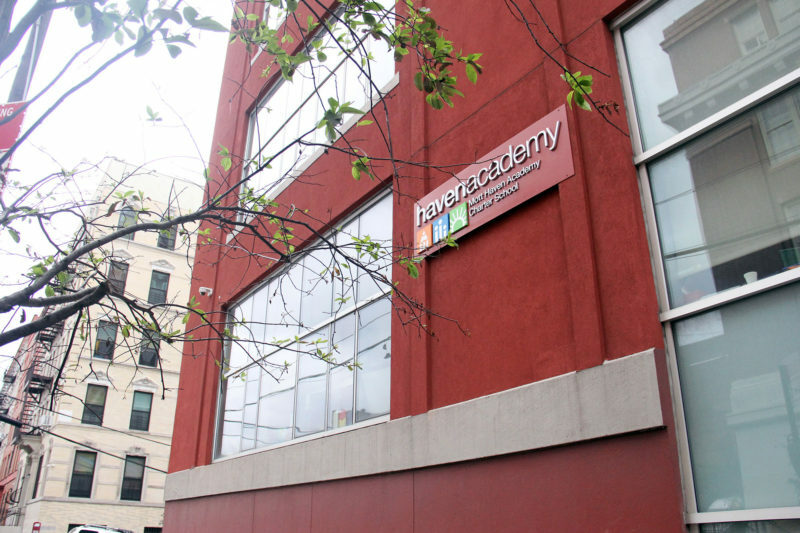 Classes were chaotic and it showed in the school data: Of Haven’s first class of third-graders, only 29 percent earned a “proficient” score on state standardized tests in math and 26 percent in reading. The school responded by overhauling its approach — adding teachers, behavioral specialists and extra academic support. Gradually, its scores improved and its students in the child welfare system began to outperform foster children attending other schools. 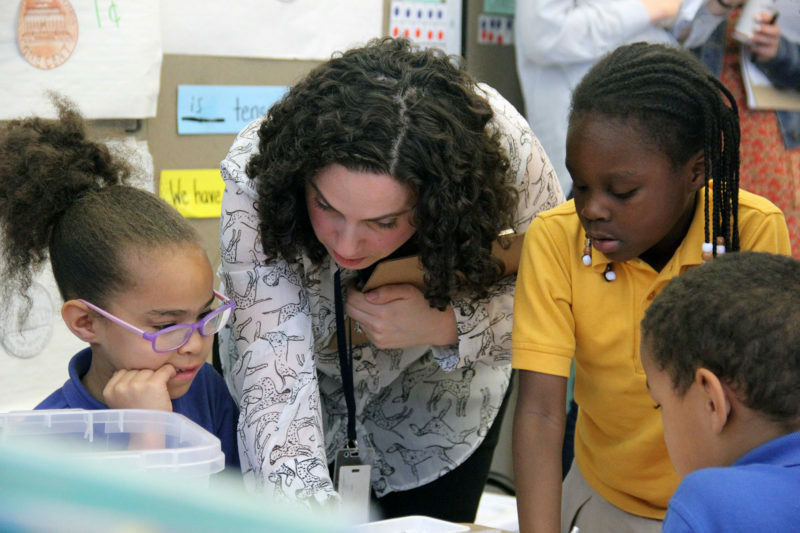 In 2017, 59 percent of its third- through fifth-graders earned a proficient score on the state tests compared with 42 percent of third- through fifth-graders citywide; discipline has shown improvement too. Haven has begun to draw educators from Texas, Maryland and elsewhere to observe its approach to teaching some of the country’s most vulnerable children. While even Haven’s backers say its approach can’t be scaled in its entirety — and critics worry about even partially segregating children who are in foster care — the institution has begun to find some answers to one of the toughest questions facing schools: How do you educate children whose lives have been hijacked by abuse, neglect and violence? Haven was started by the New York Foundling, one of the city’s oldest and biggest child welfare organizations. Last year, the organization served roughly 27,000 children and families through programs that support foster kids, youth with disabilities, expectant parents and juvenile offenders. Until a decade ago, however, the group’s education experience was limited to after-school tutoring and a Head Start program in Puerto Rico. But the Foundling’s president, Bill Baccaglini, was interested in trying to reverse the singularly grim educational performance of foster youth. Nationally, on any given day, there are about 442,995 children in foster care, according to the latest data, a number that has increased recently in part because of the opioid epidemic. In New York and across the country, children who’ve spent time in the child welfare system tend to fare worse in school than just about any other group of students. 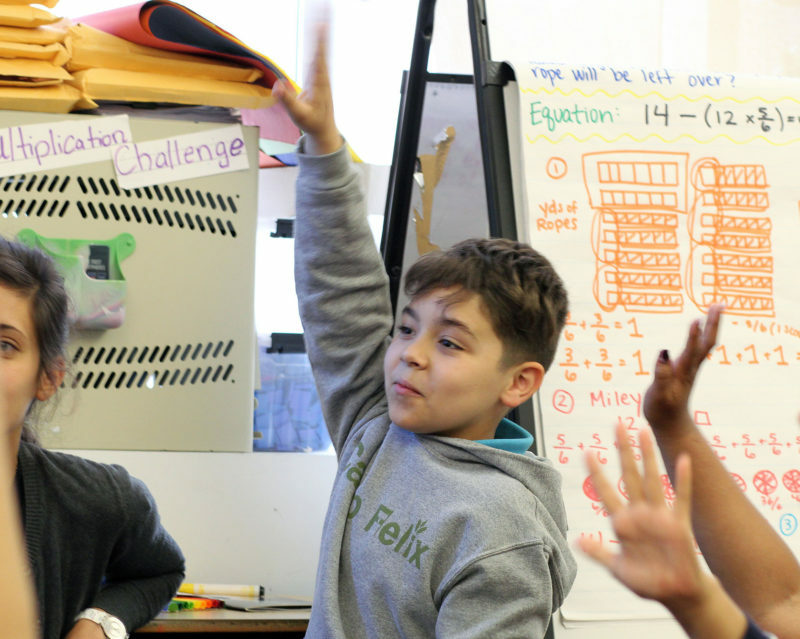 In the 2016-17 school year, for example, just 21 percent of third-graders in foster care in New York City earned a proficient score in English and 20 percent did so in math. Just 16 percent of students in foster care were on track to graduate from high school within four years of starting. Often exposed to trauma and then doubly harmed by being torn from their parents, foster children tend to ricochet between multiple homes and schools, adding to their learning challenges. “It borders on criminal,” says Baccaglini, a white-haired veteran of state child-services agencies. The Hechinger Report followed three of Haven’s families over the course of the last academic year to examine the school’s solutions to the many problems complicating the education of youth in foster care. First-grader Alyssa lived with a foster mother. Brandon, in fourth grade, and his two siblings at Haven were being raised by their mother, Jennifer, who’d learned about the school while getting mental health support for herself and her kids through preventive services. Salima, a sixth-grader, and her sister Khadija, a kindergartner, had been admitted through the lottery system for children from the Mott Haven neighborhood. The families’ last names have been omitted to protect their privacy. Alyssa trundled to school each morning between the towers of the public housing complex where she lived, dressed in brown Ugg-style boots in winter and white high-top Converse in warmer months. She’d moved in with her new foster mother, a woman in her fifties named Michelle, the previous summer. In Michelle’s three-bedroom apartment, Alyssa shared a bunk bed with her 3-year-old brother. A 10-year-old girl from another family joined the household in February. Michelle’s teenage son lived there too, along with a small dog named Ms. Peaches. Michelle had raised four kids of her own — and fostered seven. As soon as she received a foster kid of school age, Michelle would call Haven. “They do all kinds of things,” said Michelle one winter evening, as Alyssa emerged from her bedroom carrying a flyer for an upcoming school movie night. Michelle was trying to get the 10-year-old into Haven, too, but the school didn’t have any midyear openings. Alyssa’s first few months at Haven were bumpy. In November, Alyssa’s teachers and the school’s director of social work called Michelle in for a meeting. Their message: The girl needed extra support. She would continue to receive small group instruction each day in reading through a program known as Preventing Academic Failure. A member of the school’s behavior intervention team, Krystina Avila, was put on call for Alyssa when needed, and she had daily check-ins with Wernick as well. The 6-year-old would also likely be evaluated for a learning disability, but mainly as a way to gather more information on her aptitudes and challenges; Haven officials felt confident they could work with her successfully. As winter set in, Alyssa grew more comfortable in her classes and began to make some tentative academic progress. But toward winter’s end, events risked cleaving that newfound consistency. Michelle’s relationship with Alyssa’s biological mother had been strained for some time, a not-uncommon dynamic. Alyssa’s relationship with the 10-year-old girl in the household had also started to sour. Then, in February, Michelle said that Alyssa’s mother accused her of yelling at Alyssa’s little brother and injuring his finger, an allegation Michelle denied. Unnerved, Michelle said she filed paperwork to have Alyssa and her brother removed from her home. “I was in a numb mood,” Michelle said a few days later. “When I say numb, I was blank. I have never in my history of taking care of kids had to write out a 10-day notice.” She was going back and forth on whether it was the right decision; she planned to meet later that week with staff from the Foundling, who oversaw Alyssa’s placement in foster care, to discuss her options. If Alyssa did move, it would be her third foster home in as many years. The traumatic events she’d experienced were piling up. Haven officials are quick to acknowledge that, in the school’s first years, they underestimated the educational consequences of trauma. Some of the kids showed up to kindergarten unable to speak in full sentences. Others had difficulty forming attachments to adults and other children, couldn’t cope with setbacks and exhibited impulsiveness, distrust and antisocial behavior. A growing body of research suggests that traumatic events and constant stress can sap children of their resilience and even cause chemical changes in their bodies and brains. When the school received its first test scores, earning it a D rating from the city, Brassard says she wasn’t surprised by the poor results. Haven employees were fiercely dedicated, she said, but the school’s model relied perhaps too heavily on forging strong relationships between students and teachers. 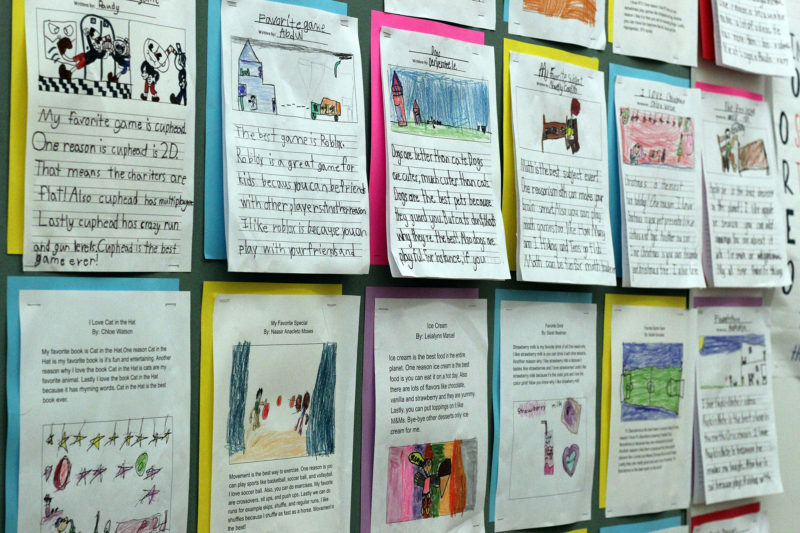 It was a loosely structured approach better suited for students whose academic and behavioral needs were already being met — but the kids at Haven needed much more. Brassard approached Baccaglini, and, later, Jessica Nauiokas, Haven’s principal. It turned out they had their own concerns about Haven’s model. After much study, Baccaglini and Nauiokas decided to adopt a more structured, trauma-informed approach to teaching, one characterized by repetition, predictability and extra academic and emotional support. Unlike the “no excuses” philosophy of some charter schools, Haven has long taken a measured approach to discipline — using “point sheets” to encourage good behavior and consequences like loss of free time to discourage misdeeds. Suspensions are rare. Haven also tries to avoid labeling too many kids as having a learning disability; Nauiokas says that foster youth are often over-identified for special education because their trauma is confused with impairment. Still, nearly 100 Haven students had special education designations last year. Baccaglini agrees — and yet, most schools are not able to devote the same level of resources and attention to this population of students. That’s why he thinks it makes sense to forge ahead with the educational experiment, even though it raises concerns among some advocates that a specialized school could further stigmatize kids in foster care. Baccaglini has been encouraged by the school’s performance so far, but, he says, “I’m still not happy.” Although Haven’s overall test scores are good, kids from the general community routinely outperform the foster care kids, and the kids in preventive services do slightly worse than those in foster care, according to Baccaglini. Those achievement gaps have narrowed significantly, but Haven’s leaders hope to zero them out. Most days, Brandon was barely recognizable as the student who’d first enrolled in Haven as a kindergartner. With turmoil at home, he’d struggled mightily with his behavior; now, the point sheet on which teachers scored his behavior in goals like “be respectful” and “be safe with hands and feet,” along with weekly 30-minute sessions with a school therapist, were enough to keep him on track. His family life interfered with his school work less and less. His mother, Jennifer, was trying hard to keep it that way. She’d learned about Haven after enrolling in preventive services on the advice of a therapist she was seeing to manage her bipolar disorder. The therapist had told Jennifer that preventive services could help her access additional counseling for her family; from there, she was introduced to Haven. Initially uncertain, Jennifer quickly grew comfortable with Haven’s teachers; her four kids fell into a routine. A few years ago, after Brandon spoke with teachers about some of his family’s challenges with domestic violence, the school’s director of social work, Gabriella Cassandra, helped Jennifer get a court order against her ex. Jennifer said she was grateful for the support, which contrasted starkly with her past experiences. Whereas foster parents like Michelle receive stipends to raise the kids in their care, biological parents like Jennifer often struggle to keep their kids in diapers, their refrigerators full and their homes above scrutiny from ACS, which critics accuse of often conflating issues of poverty with neglect. 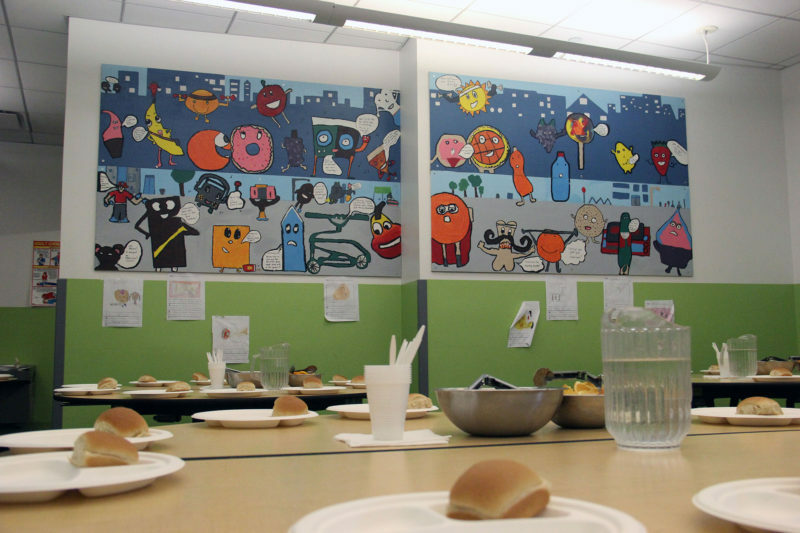 In the South Bronx, nearly one-half of kids live in poverty. Because of this, at Haven, services are targeted based on the individual child’s needs, not the student’s category — foster care, preventive services or local. But families enrolled in preventive services tend to struggle the most with getting their kids off to school, making sure the children’s homework is done and showing up for appointments. Haven has a list of roughly 55 families whose kids are chronically absent; the vast majority of those parents are enrolled in preventive services. Jennifer, though, had been able to give her kids a sense of security that some children in preventive services lack. Although she had struggled to stay consistently employed, the family had lived in the same apartment building since before her youngest child, Bella, now a gap-toothed first-grader, was born, and Jennifer’s kids had near-perfect attendance. Some preventive services parents get 6:30 a.m. calls each day and an annual dressing down from school administrators; Jennifer had never needed either. 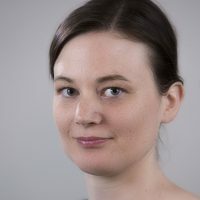 Still, Jennifer worried about the effects of her relationships and mental health issues on her kids and took pains to keep her problems from further complicating their lives. That wasn’t always possible. One Friday morning this spring, Brandon waited for his uncle in the school’s administrative office. Despite the opportunity to spend time with his uncle’s menagerie — a turtle, goldfish and three pitbulls — Brandon didn’t want to leave school for his uncle’s Lower East Side apartment. But Jennifer needed a break, and she’d turned to her brother, a ballast she’d come to rely on more regularly, to take the kids. That included being a voracious learner. One day in 4B, as his classmates finished typing out an assignment on America’s westward expansion, Brandon had already completed his and moved on to an open-ended essay. His subject: “Dogs are the best.” On the day leading up to parent-teacher conferences, he scurried around his desk to help a classmate on the lesson about fractions, dividing a sandwich among stick figures. Later that afternoon, when Evanko and Kearney gathered the fourth-graders to discuss their improvement letters, Brandon’s hand shot up first. “Take a minute to think about it,” said Kearney, before calling on him. “But you’re working on it, right?” said Kearney, encouragingly. 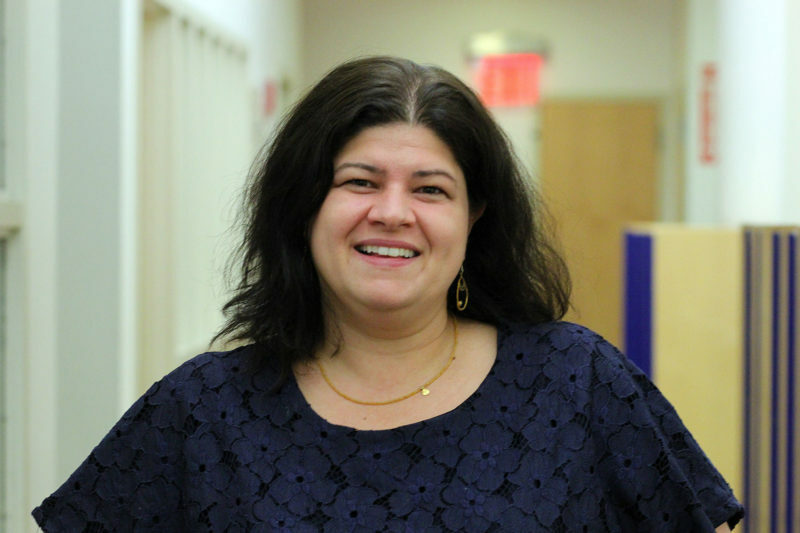 One of Baccaglini’s biggest initial fears was that the neighborhood kids’ education would suffer because of their proximity to so many high-risk students. “The last thing I ever want to do is negatively affect a kid in the South Bronx’s education,” he recalled. But that hasn’t happened. In fact, Haven’s local students routinely outperform the city average in both reading and math — in 2017, for example, 66 percent of Haven’s general-community kids scored proficient or better in math on the state standardized tests, according to the school, compared with 42 percent of students citywide. The school is a big draw for local parents; the waiting list for kids from the general community totaled more than 300 this year, the school says, compared to six kids on the foster care waiting list and 16 on preventive services’ list. The high share of Haven students in foster care barely registers with Mariana, a native of Ghana who has sent three of her children to Haven. It’s the school’s strong academics and community-minded focus that appeal. Mariana is a regular at Thursday morning coffee with Nauiokas, the principal, and monthly community meetings with parents and staff. Her older children attended P.S. 43 across the street, but her daughters Khadija, in kindergarten, and Salima, in sixth grade, followed their brother Abdul to Haven. She also loves the bevy of field trips, community meetings, parent nights and outings. Last year, as a fifth-grader, Salima traveled to Washington, D.C., to visit the monuments and Howard University. Closer to home, she saw the Metropolitan Museum of Art and Apollo Theater and toured Columbia University and the Borough of Manhattan Community College. Haven’s idea is to put college directly in its students’ sights. 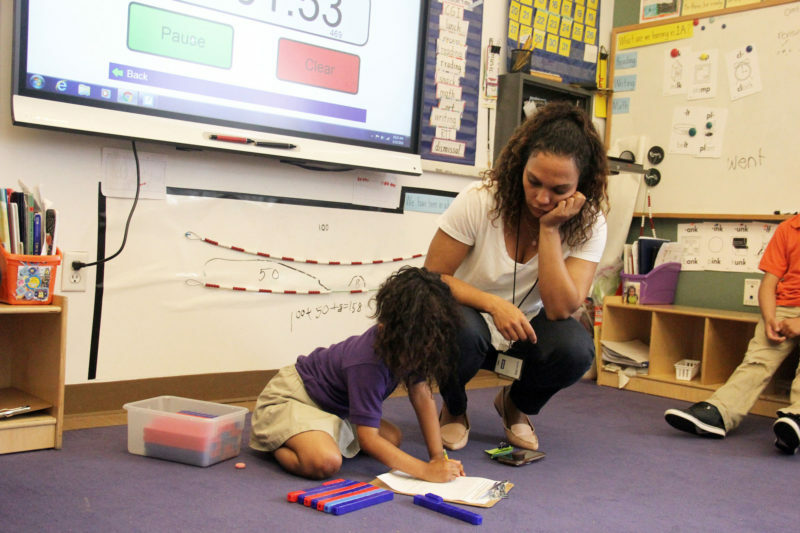 Plus, the sorts of support that Haven offers, such as the intensive social and emotional lessons, small group instruction and strategies for helping kids with executive function, are important for students of all backgrounds, educators say. On Haven’s first floor, Salima’s younger sister, Khadija, was sitting at a table with three of her kindergarten classmates. Wernick, the family and student specialist, asked each of them to use the mood meter to share how they were feeling. “I feel calm,” said Khadija in a quiet voice. 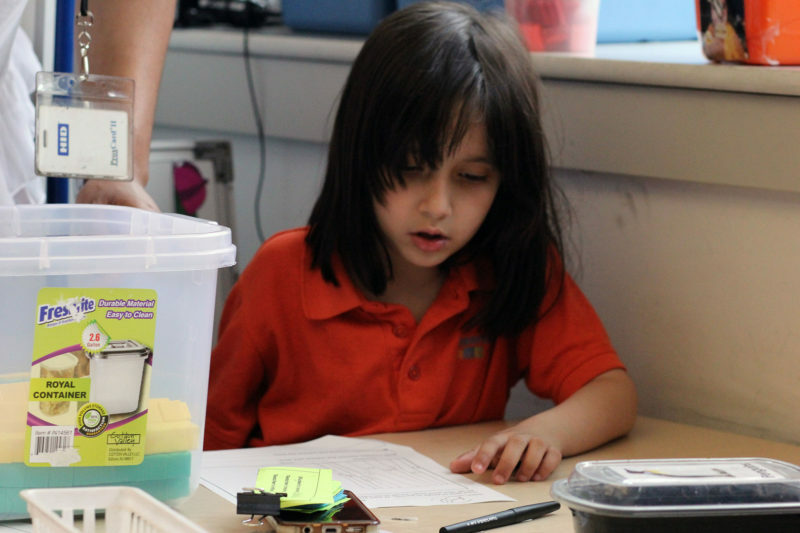 After each of the kids had shared, Wernick explained that they would be spending the lesson learning about big problems versus small problems. Big problems were ones for which you needed an adult; small problems could be solved on one’s own. Khadija volunteered that if someone wanted to play with her but neglected to say ‘please,’ that would be a small problem. Other kids posed questions: What if you were playing outside and your ball rolled away? What if a child got sick and threw up? At Haven, as at any school, there are always plenty of problems that need fixing — and with summer approaching they tend to add up fast. Student behavior typically declines near school holidays, as kids anticipate structure-less days spreading out before them. Over the summer, Haven’s children would be trading their highly predictable school days for a months-long stretch in often unstable homes. A few weeks before school ended, one girl hid her counselor’s cellphone and her teachers searched for it. One male student got so anxious for an end-of-school ceremony that he refused to walk across the stage. One morning in late May, in 4B, Brandon was wearing a Camp Felix sweatshirt. He’d be attending the sleepaway camp, which is run by the Foundling. Cassandra, the school’s director of social work, had helped Jennifer fill out the application to make sure he got in. 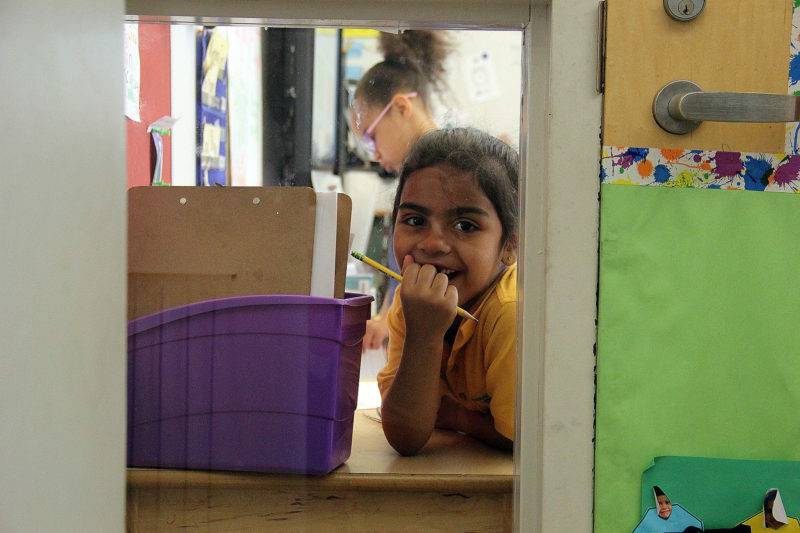 Brandon’s sister, Bella, works on a writing project in her first-grade classroom at the Mott Haven Academy Charter School. Photo: Jackie Mader/The Hechinger Report. The previous month, Jennifer had found a job working with people diagnosed with severe autism and other disabilities; the position used the certification she’d earned the previous year in human services, which pleased her. She was working overnight shifts, but she didn’t mind too much, as she could get the kids off to school in the morning and help them with homework in the evening. “It works out,” she said. That same day, in classroom 1A, Alyssa was getting antsy. A few weeks earlier, she’d moved out of Michelle’s apartment and into the home of another foster parent. For Michelle, it had been a nightmare scenario. She’d kept Alyssa and her little brother at her home through the winter and much of the spring, but then a fresh conflict with Alyssa’s mother had erupted in late April. Michelle denied she’d done anything wrong, but the allegations against her, this time involving Alyssa, led not only to Michelle returning the first-grader and her brother to the Foundling, but also ACS’s removal of her other foster child, now 11. Michelle was heartbroken. Only a few weeks earlier, she’d secured the girl a spot at Haven for the coming school year. But after the girl was removed from Michelle’s care, she had missed a mandatory intake meeting. Michelle pulled up an email from the school on her cellphone and looked at it despondently. You have declined your spot at Mott Haven, it said. As summer approached, Alyssa appeared to remain her shapeshifting self: bouncing from affectionate to distracted and back again in the space of a few moments. She was eager to talk about her new foster mother, with whom she seemed to be getting along well, but also how she missed Michelle and her own mother. One afternoon, standing by the door to her classroom, she leaned into Carolina Garcia, wrapping her arms around the teacher’s legs. “I wish I were your daughter,” Alyssa said. This story about foster care and education was produced by The Hechinger Report, a nonprofit, independent news organization focused on inequality and innovation in education. Sign up for the Hechinger newsletter.